Take Lunch to a New Level with this Lasagne Sandwich Recipe. Looking for something special to serve for a lunch for your friends? 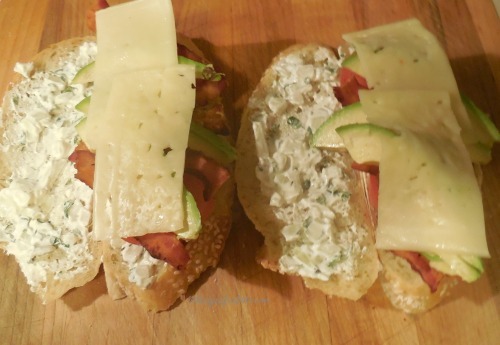 Try this decadent lasagne sandwich recipe. Lasagne is one of my favorite meals. I love the layers of goodness the seem to combine so well together. But lasagne takes quite a long time to prepare and cook. This “lasagne sandwich” gives me the feel of a lasagne, in a sandwich, is quick and easy to do and tastes just wonderful. Basically, you can make your sandwich with whatever layers you feel like. Just make sure you use several ingredients. 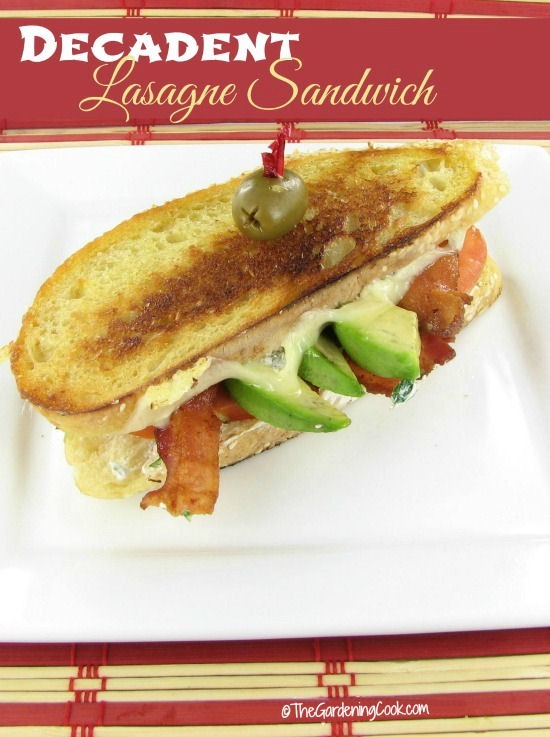 That is the appeal of lasagne – all those layers of goodness I had a sort of yen for a BLT, so I made my lasagne sandwich with those flavors and added some avocado for heart healthy omega fats. Making this recipe is almost as easy as making a grilled cheese sandwich with a few more layers. Layer your ingredients first on half of the bread. Look that this scrumptious sandwich! The cheese is melted over the other fillings and the taste is to die for. It’s a big one though – Open wide! Top it with an olive and serve with some pickles or a side salad and you have an easy meal that taste fabulous. You will want to make it again and again! Perfect for a fancy lunch, and special enough for a quick dinner with a bowl of soup or some oven baked french fries. If you don’t want to go to the trouble of making and flipping the sandwich, try a sandwich maker. (affiliate link.) They make perfect sandwiches every time, the easy way! In a small bowl, combine the first oregano, salt, chopped onion and sour cream. Spread the mixture on the bread slices. 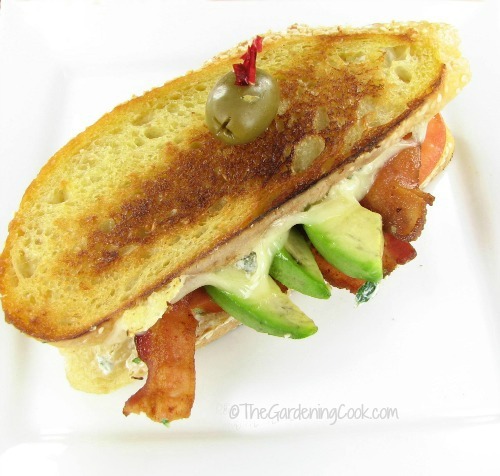 Then layer two of the slices of bread with bacon, tomato, sliced avocado and cheese. Heat a large griddle or non stick frying pan and add the butter in the pan. Let it melt and place your sandwich on the grill pan with the prepared side buttered down, and the other bread sauce side up. 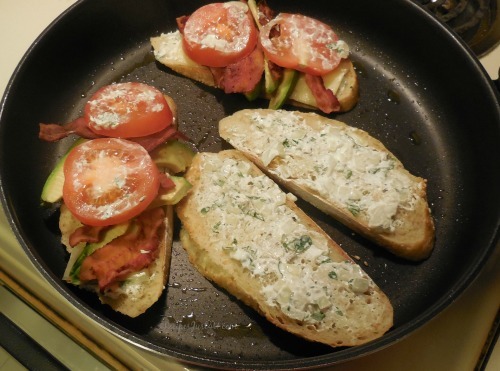 Toast the sandwiches until slightly browned, assemble the sandwich and turn it over and continue cooking until both sides are lightly browned, and the cheese has melted, adding a bit more butter to the pan if necessary. 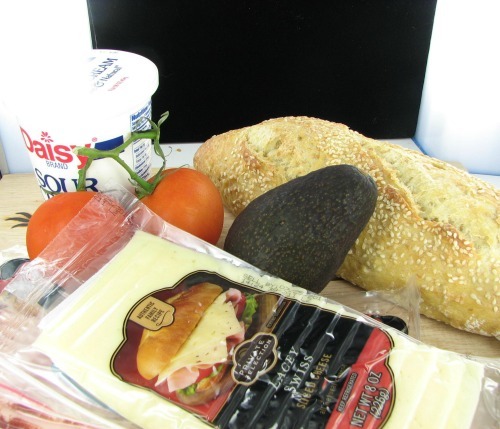 Use a tooth pick to secure an olive on the top of the bread and serve with a side salad.